2006 lead Julian to Ibiza. His fresh & elegant style quickly created an interest and he was approached by promoters from London and Ibiza who offered him an opportunity to play at many clubs there during the summer seasons such us Pacha Hotel, Space, Blu, Ushuaia, Sands, a residency at Salvation parties at Heaven in 2007, a residency in La Plage in 2009, plus various villa parties around Ibiza. In winter seasons he has traveled to new shores, playing in Argentina, Uruguay, Brasil, Costa Rica, Panama and has been performing at festivals like ADE (Amsterdam Dance Event), Sonar BCN, Kazantip, BPM México and Miami WMC (Winter Music Conference) label showcases and parties around the conference for the last 4 years. 2010 started a new era for Julian, having played in many clubs around Spain, Greece, Viena, Italy, Amsterdam, London, Philadelphia, Miami and New York. With several productions out on labels such as Leftroom, Lowpitch, Recycle, Tzinah and Frankfurt based Two.Birds Records - Julian is without a doubt an artist to keep an eye on. 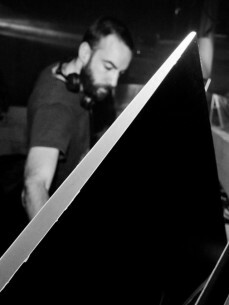 Artists such as Richie Hawtin, Ricardo Villalobos, Loco Dice, Carl Cox, Marco Carola, Onur Ozer, Raresh, Rhadoo, Mathias Kaden, Tobi Neumann, Livio & Roby, Kerri Chandler, Franco Cinelli, The Martinez Brothers, have been playing his unreleased tracks by these labels during the last 3 years. In 2012 Julian was part of the VIVa Warriors, he was very present in the label showcases around the world. One of the most wanted tracks of the season was his remix of the old anthem "The Night Train", a real hit played by the biggest names over the summer. From 2013 Julian is focusing on his very young imprint: "Fathers & Sons Productions", an underground house/techno vinyl-only label with very limited copies. All the releases have been sold out the first week on the market and all of them on first 3 places on top techno viny sells. In addition, Julian presents "Fathers & Sons First Anniversary Shows", with 12 events around the world. It has been presented at various countries during the second third of 2013, starting at Miami WMC and throughout Berlin, Barcelona, Zurich, Moscow, Bucharest, Basel, Kiev, London, Paris, Ibiza plus a very big event at Sonar Week, Barcelona. Artists such as Mathias Kaden, Valentino Kanzyani, Tobi Neumann, Martinez, DJ W!ld, tINI, Bil Patrick, Sebo K, Boris Werner, Franco Cinelli, among others, have been involved on it. Of course Livio & Roby and S.A.M. as regulars on the label. Summer 2013 have been a successful one, being with FUSE Ibiza three times over the summer at Sankeys and Kazantip Festival with his own showcase and many other dates in Europe. Touring in the US this fall and south America at the beginning of 2014, starting at the BPM festival in Mexico. Have been around 40 intense gigs over the year without doubt a great one.